Inca trail 2 days is a fantastic option for those who don't have the time or desire to hike the full length of the Inca Trail. With beautiful scenery, a wide variety of flora and fauna on display and a visit to the Inca Trail's most beautiful site (Wiñay Wayna) continuing through the famous Inti Punku or Sun Gate. Day two includes a full day visit of the world-famous Inca citadel of Machu Picchu. Location: 2-day Inca trail To Machupicchu is a wonderful short trek where you´ll hike for 5 – 6 hours a distance of 11km through the Clouds forest; the second day you’ll explore the Inca santuary of Machu Picchu. This trek requires special permits, so please make your reservation well in advance to secure your place in the time that you wish. 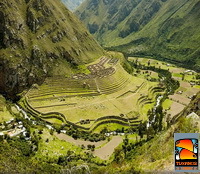 Be aware that Inca trail is very popular trek and you will meet a lot of hikers on the way. 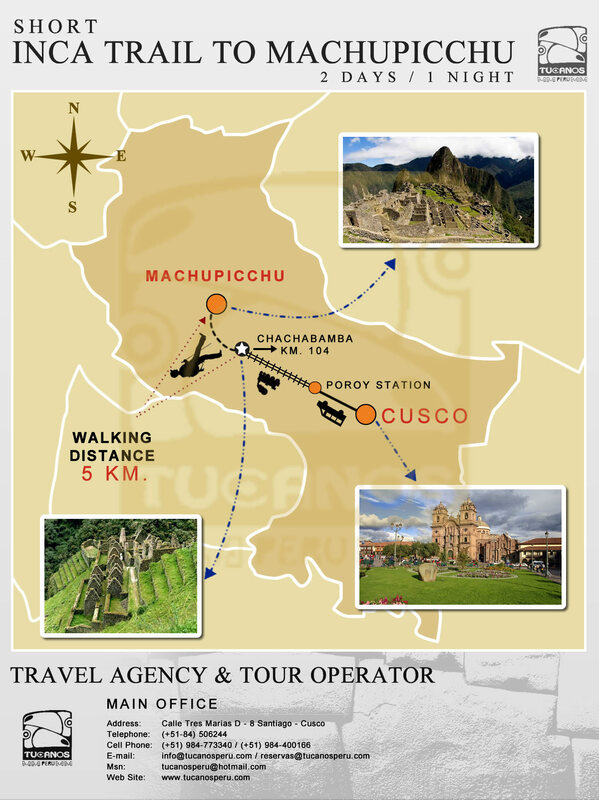 If you are interested in more off the beaten track treks, please consider our alternative treks to Machu Picchu. If you would like an extra night in Aguas Calientes please let us know at the time of your reservation so we can make appropriate arrangements with the return train tickets.